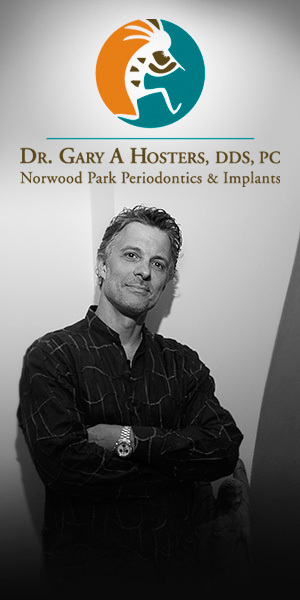 Dr. Hosters has been a practicing periodontist for more than 25 years. Dr. Gary is a 1987 graduate of Loyola Dental School and also completed his periodontal and implant residency at the same university. He is an active member of the American Dental Association, American Academy of Periodontology, Institute of Dental Implant Awareness, Chicago Dental Society and The Illinois Dental Society. In addition to his membership, Dr. Hosters has achieved fellowship status with International Team of Implantology. A life-long resident of Chicago, Dr. Hosters has lectured throughout the United States, Russia and Lithuania. He is passionate about your health and his mantra is to always provide the best dentistry and the best value possible for every patient. Dr. Hosters is an avid cycling and fitness enthusiast and although he has always lived in Chicago, his heart belongs to Santa Fe. Check us out and find out why.